Table Mountain National Park (TMNP) has undertaken a number of prescribed burns in some sections of the national park. 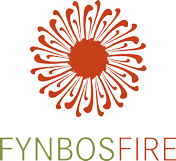 Whilst fynbos is a fire-prone plant species, it is also both fire-adapted and fire-dependent and the use of fire therefore forms an integral part of the ecological management of the park. 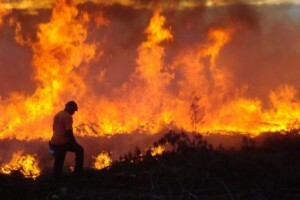 A prescribed burn is a controlled fire that is planned under strict conditions and is confined to a predetermined area. TMNP compiles a Prescribed Burning Plan for the entire park – this plan determines and prioritizes areas for prescribed burning, taking into consideration veld age, rare and endangered species, alien clearing etc. 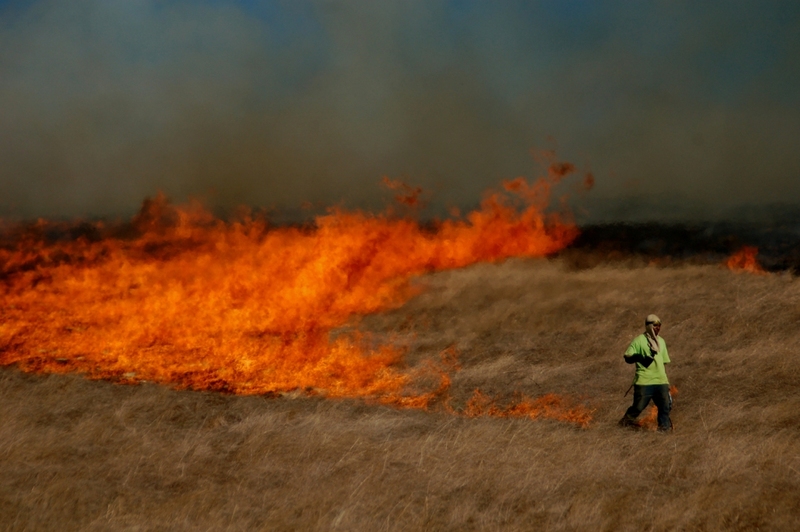 Controlled/prescribed burns take place under very strict conditions and are carefully planned ahead of time. 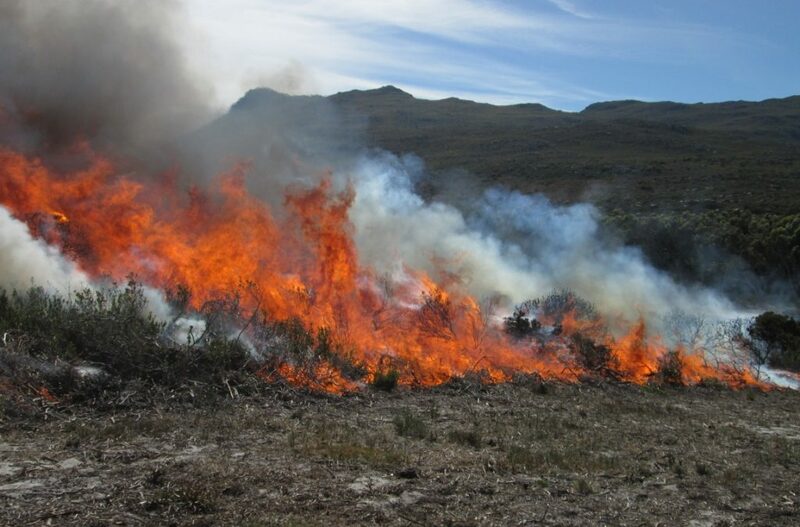 Once the planning phase is complete (having taken into account which areas of fynbos are due for / are in need of fire, which alien “fuel” requires burning, weather patterns of the season etc. ), the most important aspect to monitor is the weather conditions. The number of ideal burning days in Cape Town is limited and priority must be given to the days with ideal conditions. These conditions generally consist of temperatures under 25°C, moderate winds of less than 20km/hr and 2-3 days after light rain has fallen (there should be approximately 12 such days during March and April in the Western Cape). It is important to note that a prescribed burn will only ever take place under the conditions as described above. A controlled burn will never take place on days with strong/gale-force winds, and will not take place over weekends or public holidays.